TOKYO’s Christmas Sales are coming again! This year the sales are organized in Museum of Contemporary Art Kiasma on 1.-2. of December. Two days! 100 tables! Fantastic art & design! Come and show your support to young artistic talents and buy the most unique Christmas presents! 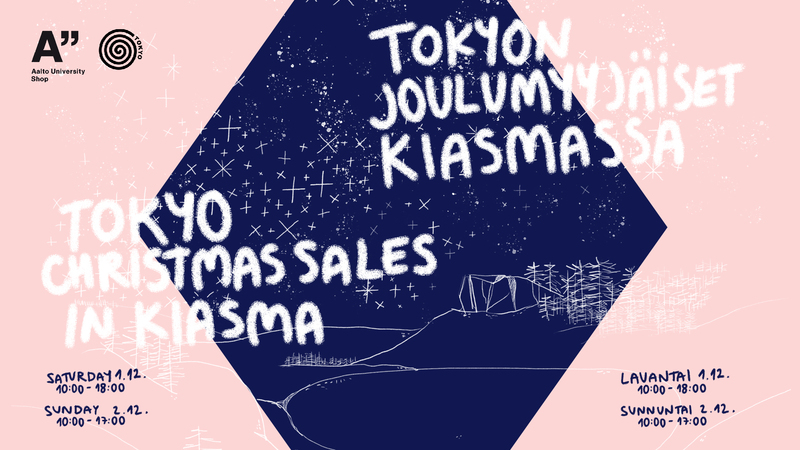 Bring your Christmas spirit to Mannerheiminaukio 2, Helsinki center and experience the magic of TOKYO’s Christmas sales! The Sales are open according to the opening hours of the museum on Saturday 10:00–18:00 and on Sunday 10:00–17:00. Previously Previous post: Christmas Sales table reservation begins! See Next Next post: I ♥ Kipsari Grant 2018 application is open!